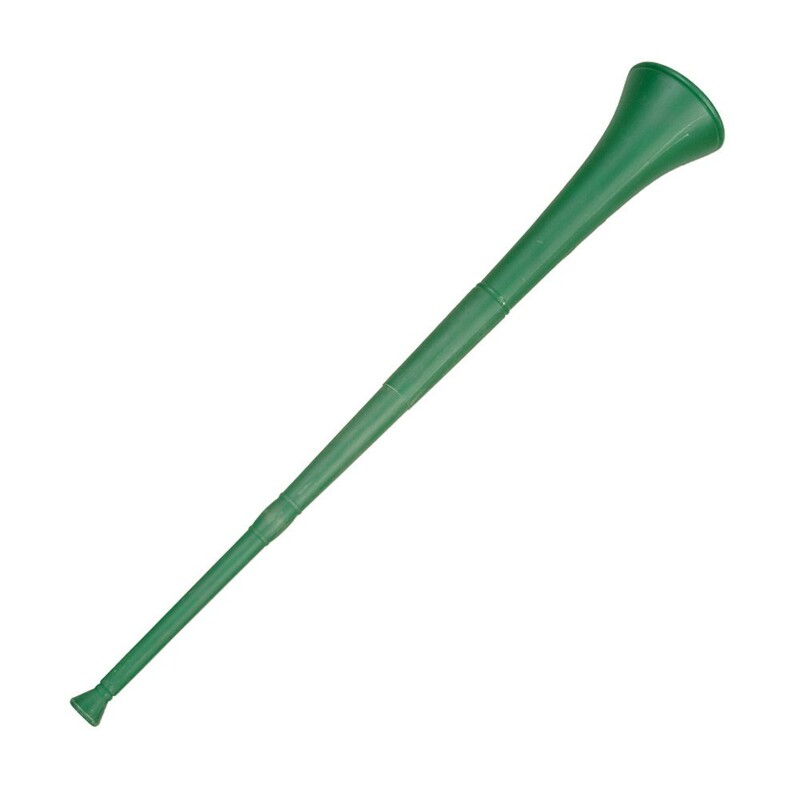 You are looking for a musical article not to go unnoticed during a parade for festivities such as St. Patrick`s Day, Christmas, or other festivities of your choice, the long green plastic collapsible stadium horn 28 inches is the musical product to buy . Ideal also to encourage sports teams from your choice. Made of lightweight green plastic, the 28-inch stadium horn is retractable so easily transported during your various activities. In order to successfully emit a tone, you just have to vibrate your lips at the mouth of the trumpet. Sold by the unit, this stadium horn is not recommended for children under 5 years old .